I’m enjoying the kids’ clothing, which is a surprise to me. (usually more of a women’s fashions fan). And that hat today…what a great hat! 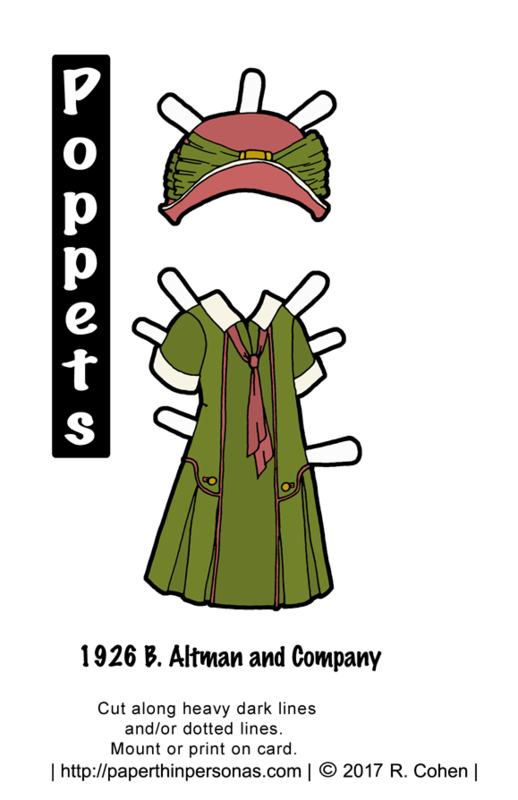 I love the 1920’s children’s fashion almost as much as I love the fantasy Poppets clothing and characters. Could you do historical children’s pajamas, please? Or just plain pajamas, little girl pajamas are adorable. Dolls, not characters, sorry. I guess ive been reading too much and my hobbies are all blending together. Dolls, not characters, sorry. I’ve been reading too much (and not doing homework), and I guess my hobbies are blending together.